We saw a leaked photo of the new Sony Ericsson Xperia Duo last month, and now it looks like some more press shots have been leaked of what is rumored to be Sony Ericsson’s flagship smartphone that is due to launch later this year, and will come with Android Gingerbread. 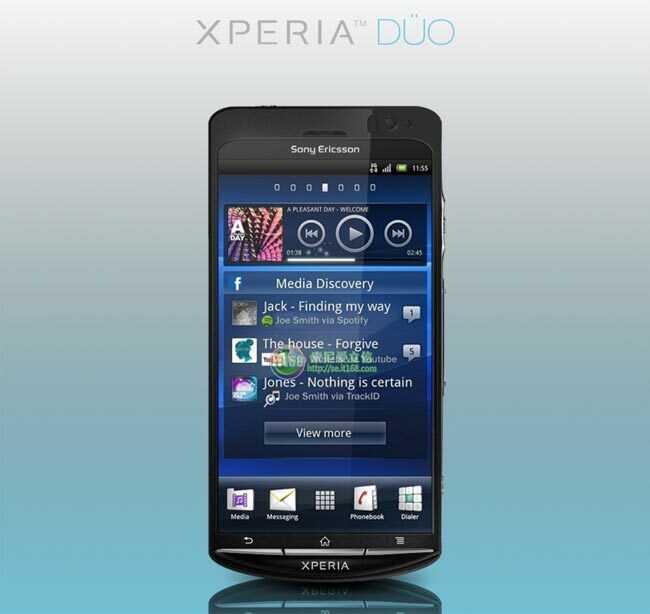 The Xperia Duo is expected to go on sale in September and is rumored to have some impressive specifications, which include a dual core 1.4GHz processor, plus a massive 1.5GB of RAM. Other rumored specifications include a 4.5 inch qHD display, plus it is reported to feature Sony’s next generation Exmore sensor that may come with a massive 12 megpaixels. It certainly sounds impressive from the specifications, as soon as we get some more information we will let you guys know.